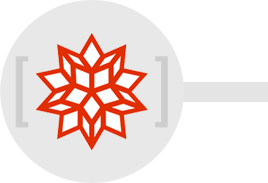 Widely admired for both its technical prowess and elegant ease of use, Mathematica provides a single integrated, continually expanding system that covers the breadth and depth of technical computing—and seamlessly available in the cloud through any web browser, as well as natively on all modern desktop systems. Superfunctions, meta-algorithms... Mathematica provides a progressively higher-level environment in which as much as possible is automated—so you can work as efficiently as possible. Mathematica draws on its algorithmic power—as well as the careful design of the Wolfram Language—to create a system that's uniquely easy to use, with predictive suggestions, natural language input, and more. Mathematica is based on the breakthrough Wolfram Language. The unique knowledge-based symbolic language that grew out of Mathematica, and now powers the Mathematica system. The world's largest integrated web of algorithms, providing broad and deep built-in capabilities for Mathematica. The uniquely flexible document-based interface that lets you mix executable code, richly formatted text, dynamic graphics, and interactive interfaces in Mathematica. The core software system that implements the Wolfram Language—and Mathematica—across a wide range of local and cloud computational environments. The infrastructure technology that lets you run Mathematica Online with just a web browser. The uniquely broad, continuously updated knowledgebase that powers Wolfram|Alpha and supplies computable real-world data for use in Wolfram products. The 500+ functions from Mathematica 1 are still in Mathematica 12—but there are now nearly 6,000, as well as a huge range of important new ideas that dramatically extend the vision and scope of the system. When Mathematica first appeared in 1988, it revolutionized technical computing—and every year since then it's kept going, introducing new functions, new algorithms and new ideas. Math was Mathematica's first great application area—and building on that success, Mathematica has systematically expanded into a vast range of areas, covering all forms of technical computing and beyond. Mathematica has followed a remarkable trajectory of accelerating innovation for three decades—made possible at every stage by systematically building on its increasingly large capabilities so far. Versions of Mathematica aren't just incremental software updates; each successive one is a serious achievement that extends the paradigm of computation in new directions and introduces important new ideas. If you're one of the lucky people who used Mathematica 1, the code you wrote over three decades ago will still work—and you'll recognize the core ideas of Mathematica 1 in the vast system that is Mathematica today. Mathematica has always stayed true to its core principles and careful design disciplines, letting it continually move forward and integrate new functionality and methodologies without ever having to backtrack. Mathematica is Wolfram's original, flagship product—primarily aimed at technical computing for R&D and education. Based on the Wolfram Language, Mathematica is 100% compatible with other core Wolfram products.